Some politicians, especially those in trouble, have been more overt in their race-baiting. The most famous example is George H.W. Bush, when he fell well behind Michael Dukakis in his 1988 bid for the presidency. To pick up his numbers, he ran an ad featuring a vicious-looking mug shot of the black felon Willie Horton. Wisconsin Governor Scott Walker, a politician whose approval rating has been well below 50 percent the last couple of years and is facing a tough re-election in 2018, has taken the Willie Horton ad model to new depths. Walker has pushed his drug-testing program by arguing that employers feel too many job applicants are testing positive for drugs and that drug use by food stamp recipients is preventing them from working. While this ad has all the makings of a Willie Horton reboot, at least Willie Horton was a real person and the facts, while grossly distorted, had some tethers to reality. Every element of Walker’s noxious ad is false. Drug testing welfare recipients has been a completely specious endeavor in other states—in Florida, only 2.6 percent failed their test, and the few positive results were mostly for marijuana. Further, the supposition that employers are complaining to Walker that they can’t fill jobs because applicants are failing drug tests doesn’t hold any water. Last year, according to the nation's largest drug tester, only 5 percent of new job applicants in Wisconsin failed drug tests, with nearly half coming from marijuana. And the use of a black woman as the poster child? That just doesn't fit any reasonable measure. As has long been the case, the largest group of people on food stamps (43 percent) in Wisconsin are children. If you're looking for a real welfare poster child—use a child! Another 25 percent of recipients are adults, who are either elderly or disabled and unable to work. Let’s do some back-of-the-envelope math. Of the Wisconsinites on food stamps, 68 percent are children, persons with disabilities or elderly. According to the Wisconsin Department of Human Services, 40 percent of all adults on food stamps do work. If we assume that the vast majority of the elderly and people with disabilities are not able to work, that means most “able-bodied” adults on food stamps already work. In addition, as Wisconsin has climbed out of The Great Recession, food stamps recipients have declined, from 856,324 in October 2013 to 670,764 in October 2017. 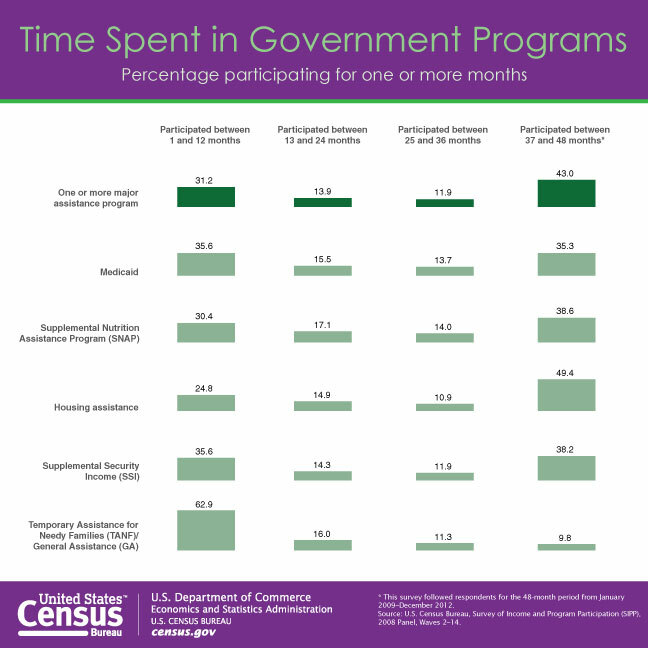 And, more than 60 percent of recipients spend less than three years in the program. This is solid evidence that economic conditions are the biggest driver for getting people on and off food stamps. So much for Walker’s warped conservative fantasy of people wanting to luxuriate in a welfare “hammock” that amounts to $1.17 per meal! Racially speaking, Walker's choice to feature a black woman in his ad makes even less sense. The vast majority (56-68 percent) of food stamp recipients in Wisconsin are white. Only 27 percent are African American. And, yes, while it’s true that a greater proportion of African Americans are on food stamps, a greater proportion of African Americans are also living in poverty in Wisconsin—one of several reasons Wisconsin claims the embarrassing prize as the worst state for African Americans in the nation. If you recognize that Wisconsin is already a hostile place for black people, and is also a state that has bled hundreds of thousands of manufacturing jobs once largely held by African Americans, the fact that “last in, first out” African Americans are still struggling to find good jobs should be a source of grave concern for the state's governor. So should the fact that 27 percent of the state’s population are living near the poverty level—and most of these people are white. Realistically, Walker’s poster child ought to be white and a child. And the able-bodied adult in the family that Walker is demanding to get off drugs and get a job? She’s a single parent, white mom, with a few kids, and she probably already has a job. Here’s an alternative target for Walker: The nation’s largest employer—Walmart—which pays its average employee just $12.94 an hour, making a single mom working there full-time easily eligible for food stamps. Standing up to big corporation instead of race-baiting and mocking the poor?